Have we died and gone to vinous heaven? First Shafer and now…HANZELL! An American classic!! Anyone who knows Hanzell should be racing to snag what they can....we didn't get much (again, amazing to have any) and for sure this will never happen again…AT THIS PRICE! Wow! This is one of California's FINEST chardonnays, hands down. Ask anyone who is serious about wine. Started in 1953 (!!) on the top of the Mayacamas Range on Sonoma Mountain, they make Chardonnay and Pinot Noir exclusively (from some of the oldest chardonnay vines in CA). Bob Sessions, a TRUE legend in winemaking circles (Google him! 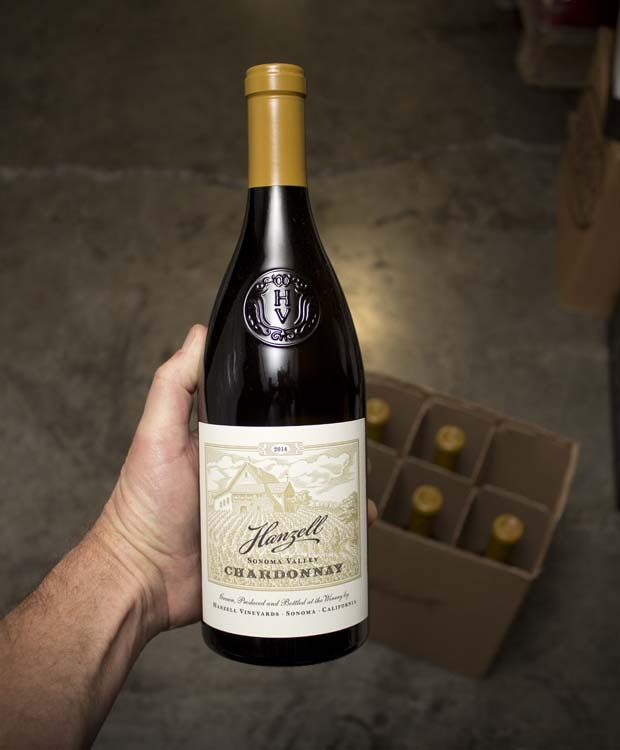 ), made the wines for 33 years, where they quickly became the benchmark for world-class chard and pinot. Today, little has changed. The wines age effortlessly (we have tasted pinot noirs from the early 60s that still seem like 6-7 years old). They are unique, special, and much-coveted by serious drinkers and collectors all over the world. You must get some at this price! Please, we implore you. This is serious! RESISTANCE IS FUTILE. Let’s tell you about the staggeringly delicious 2014: the easy, almost cliched way to describe it is "Burgundian". But this chard is so much more. In the excellent 2014 vintage, these ancient vines produced something ethereal. They usually do. This wine sings. It's crazily complex, with fantastic acidity and freshness, light touches of highly aromatic herbs (lemongrass and verbena), grapefruit and Meyer lemon but soaring with minerality, oyster shell, lemon curd, and roasting hazelnuts. There is this fantastic palate-washing freshness and texture, and you can just feel the finesse, the impeccable balance...just awesome. While it lasts!! An estate blend, sourced from thirty-two acres of our Ambassador’s 1953, Day, de Brye, Ramos & Zellerbach vineyard blocks all on rocky volcanic and clay-loam soils. Wente and Hanzell clones are planted primarily on St. George rootstock with an average vine age of thirty-five years. Pork, rich fish (salmon, tuna etc), vegetarian dishes, poultry.